This is a site on the MIND. For all of us, the best companion and often the only companion is our Mind. The Mind is what perceives. So any event however bad is bad because it is perceived to be so by the Mind. The Mind by itself can make heaven out of hell and hell out of heaven. Most often, we do not realize the Enemy within. Our Mind. The Lethal Weapon with which we tend to destroy ourselves as well as others around us. We cannot harness, control or maneuver the Mind. The Mind maneuvers us, controls our behavior and gives us our attitude. We can only understand the mind, and nurture it right. In this book, I have gone to the source of all troubles within the Mind. I have discussed the Mind and its functioning, its diverse complexes, various conditioning, innumerable repressions and other emotions which fire the Mind and its functioning. The aim is to question everything and everyone till one stumbles upon the truth. The truth is always outside of all fixed notions. We have but one life. We need to leave behind the past, experience the present and lose our fear for the future. Its only when we start living in the present moment relishing its fragrance that our lives will be fully justified. So read on, Open your Mind, Contemplate and Investigate all you believed. I hope you realize the tremendous potential that your Mind has coiled up within it. When you unleash it, it becomes your Magic Wand helping you to find contentment, spread compassion and live a fulfilled Life. 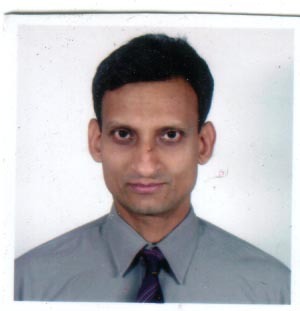 Prof. Dr. Rao is a triple doctorate, in fields of Medicine, Alternative Medicine and Military Science. His vast education has played a significant role in his contemplation on mind and in application of scientific logic in understanding the mind's chaotic undulations. He is a guest trainer for the Indian armed forces in close quarter battle and has spent last 15 years of his life serving the country in area of modernization without charging any professional fee as a selfless service to the Nation. For his work, he has received the Chief of Army Staff Appreciation twice in 2001 & 2005. He is an author of a book on World Terrorism. He has practiced Internal Medicine for 10 years. He is keenly interested in Physical Fitness and holds Black Belts in many arts. He spends his spare time teaching unarmed combat arts in his academy in Mumbai city. He is an ideal Guru to many and is friend, philosopher and guide to his students.